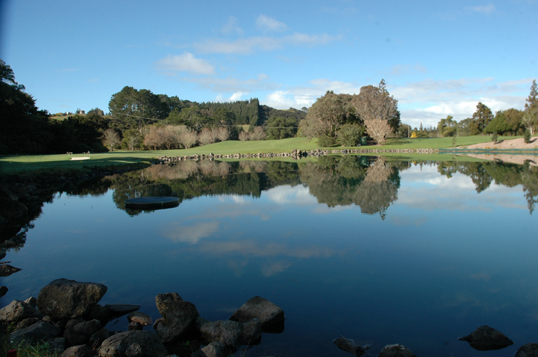 Sometimes challenging, the Helensville Golf Club course provides a good test of golf. Accuracy from the tees is required to negotiate a combination of tree lined fairways, lakes and streams,with strategically designed short to medium length holes for golfers of all levels to enjoy. The course is set in park like surroundings with gentle undulating terrain. Come and enjoy a game of golf in a peaceful and tranquil country setting. For more information, please visit Teebooking.